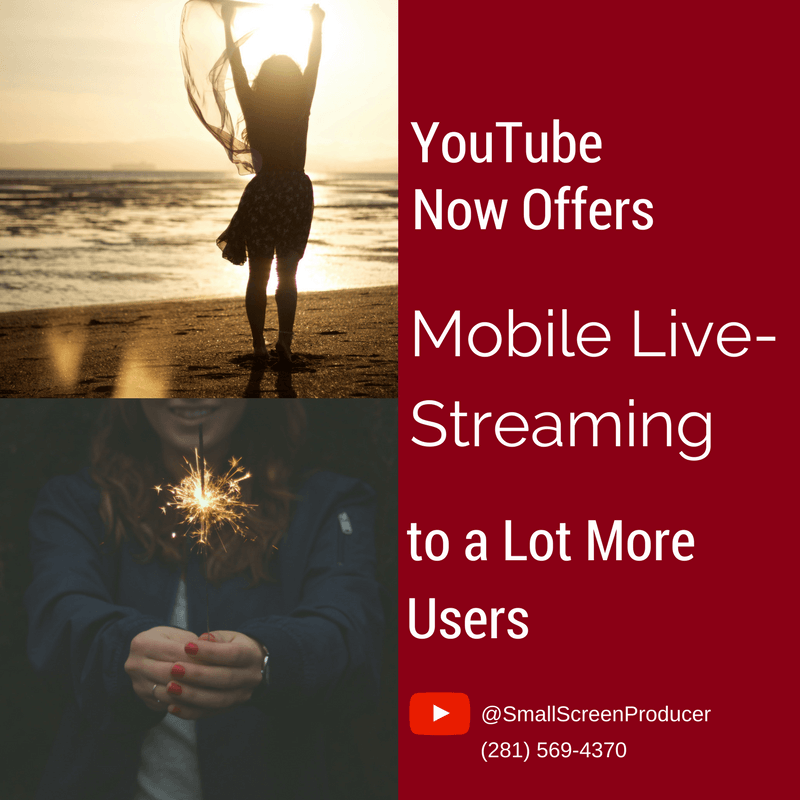 YouTube recently announced that they will be allowing a lot more users to start live-streaming from their smartphones. The Google-owned company has offered the ability for YouTubers to launch live-streams from their desktop computers for a while now, and in February of this year they began offering their mobile live-streaming to channels with a minimum of 10,000 subscribers. Just recently YouTube has started to roll this feature out to channels with over 1,000 subscribers. To start your own live-stream, you can tap the “camera” icon at the top of the display. Tap “go live”, add a thumbnail image and choose who you will be streaming to (public or unlisted), and you are ready to start streaming. Videos – live-streaming or otherwise – make your audience feel as if they are part of your brand. Let Small Screen Producer help you engage your audience through video and other online strategies! We welcome you to call us today at (281) 569-4370.